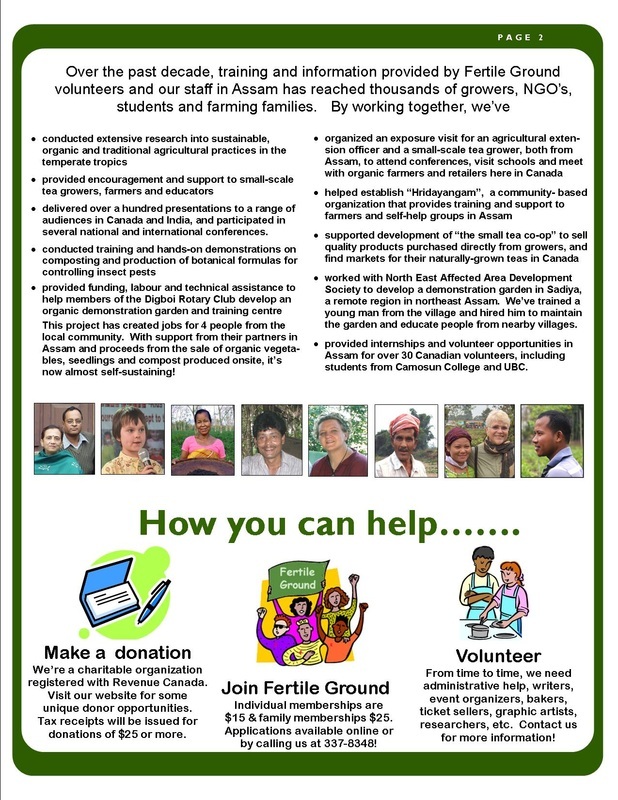 Archive of Fertile Ground Newsletters, News and More! To download back issues of Fertile Ground's newsletters and flyer, click on any of the images below. our first Mad Hatter's Ball was fun AND a successful fundraiser! ASP hosts Assam's first organic vegetable competition! Fertile Ground launches Assam's first garden & resource centre for organic farming - "Adarsh Seuj Prakalpa"
women's weaving project - making cloth bags for organic tea!